I did a little closet cleaning last week and came across my old scrapbook from when I was a kid teenager. Inside I found a few vintage Disney treasures, and I thought it would be fun to share what Disney tickets used to look like. First up we have a 4 day ticket from 1992. This was my ticket and that was my 13 year old signature on the front. Check out the library check out style stamping! This ticket cost about $118. 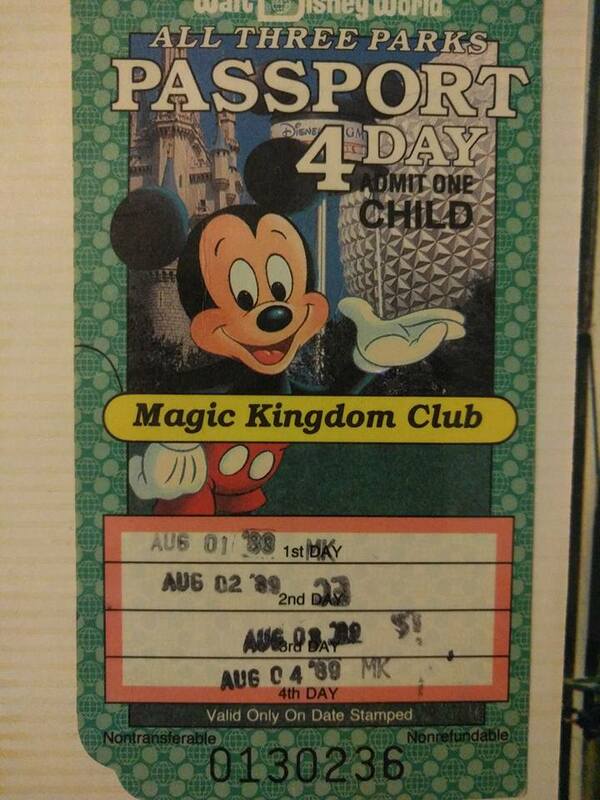 About a week after this ticket was issued, Disney switched from this Passport ticket to a Super Pass. This is a parking lot ticket from 1989. 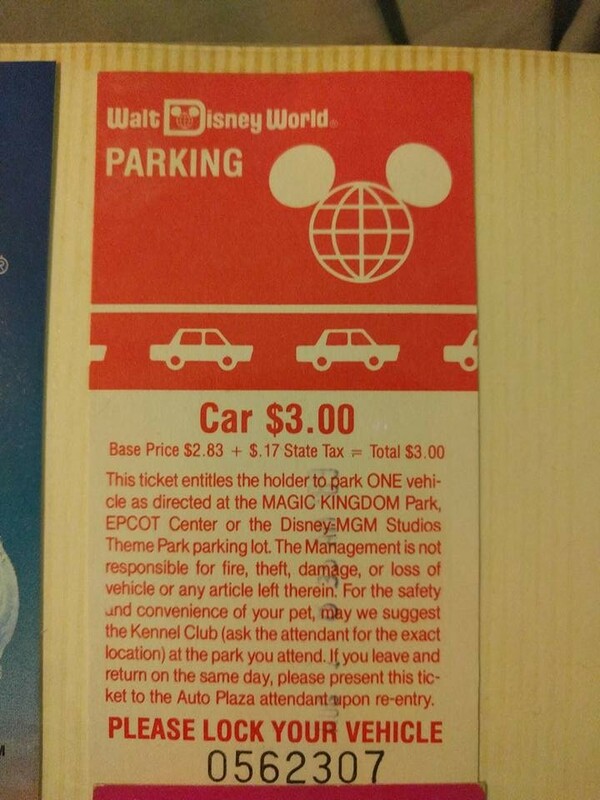 Parking was only $3 back then! 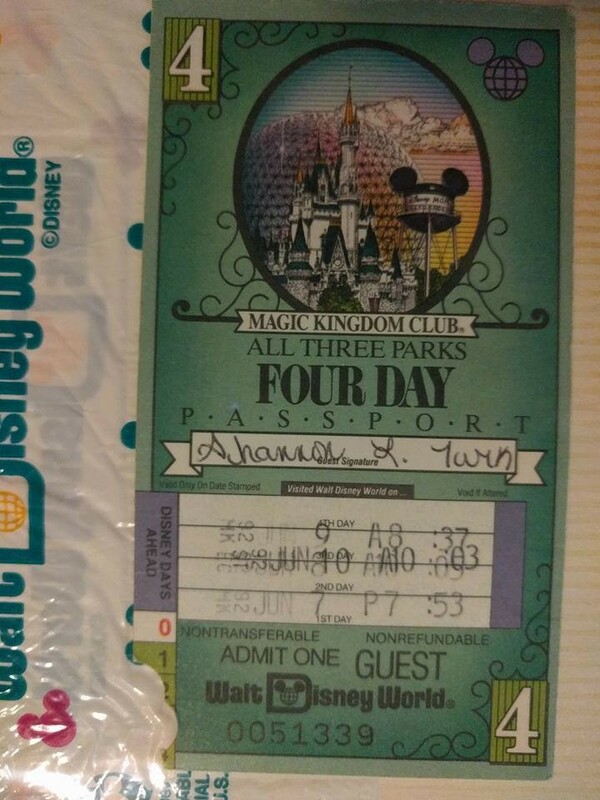 Another 4 day ticket, this time from 1989! This ticket cost $92 plus tax. Can you imagine paying that price today? That’s just slightly less than a one day Magic Kingdom ticket! Fun facts: MGM Studios Park opened on May 1, 1989, as well as Pleasure Island. One month later, Typhoon Lagoon opened its gates. Lastly, we have some miscellaneous Disney things I’ve kept over the years. In June 1992, we stayed at the Polynesian Resort. I kept the decaf coffee tag (I have no idea why, kids are weird), as well as the transportation card we were issued. 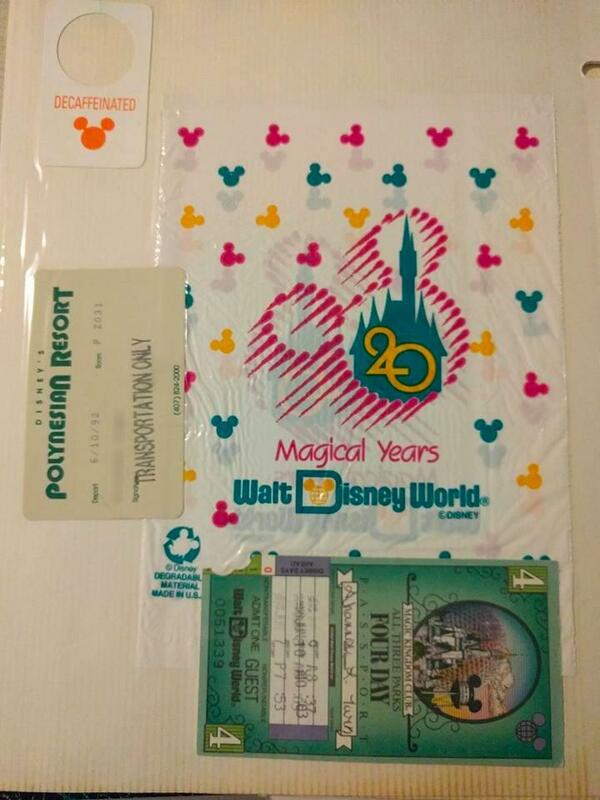 That year was the tail end of the 20 year WDW anniversary, and I have here a shopping bag that reflects that. Hard to believe we’re now coming up on the 45th anniversary! We’d love to see your vintage Disney items! Put them in the comments if you have them! Join us as we talk about all the fun things we did during our recent girls trip to Walt Disney World! We tried new food (hello, Food & Wine Festival! ), new attractions, and new shows!